Whether you're a New Year's resolution person or not, you probably have made some kind of fitness goal in your life at one point or another. For me, it came just about four years ago (more on that next Monday). In the spirit of goals, and bettering ourselves, I thought I'd share a couple of posts over the next few Mondays on my running experience, (very novice!) goals, progress, and today- music! If you've ever exercised in your life, I'm sure you have your go-to songs that get your heart pumping. I have a list, actually several lists, and they change often. But for today's post, I'm going to share my current running playlist. My song selections are quite varied, and yes I am aware that I have a Britney Spears song on my list, but these songs work for me. Some songs have been on my list forever, and others are new this month. I usually choose my songs based on four criteria. I realize that Britney Spear's 'Stronger' is talking about recovering from a relationship gone bad, but when I hear the chorus, as cheesy as it sounds, I can't help but feel a bit stronger as I'm running. The beat of those recognizable strings at the beginning of Cold Play's 'Viva La Vida' never fails to get my feet hitting the pavement at a good pace. If a song can take my mind to somewhere other than my tired legs and labored breathing, then it makes my list. Katy Perry's 'Firework' actually fits every one of my criteria, but it will always be the song that got me up the hills to Snow Basin on my first (and favorite) leg of Ragnar. Four out of my five radio stations are set to county music. I love country music, but as much as I love it I can't run to it. There are a few country songs that meet my memory criteria and I can listen to them, but overall I need something more pop/rockish. Lucky for me, I have family members who are more well-rounded and up-to-date in their music selection and can give me some suggestions of the latest up-beat melody. Just over the Christmas break my sister told me her latest favorite song on her running playlist is 'Let It Go' from Frozen. It's now on my list as well. So, there you have it. My current running playlist. I hope there's a song or two you like, and could add to you list. I always love hearing what others listen to, so leave me a comment if I've missed your favorite calorie-burning song. If you've been here before for my other playlists, then you know the drill. Head on over to Spotify (it's free) and you can hear all the songs on my list. Happy exercising! Come back again next Monday for part two of my running journey (the one thing that turned me into a consistent runner of four years now). Thanks so much, Cathy! I need this for after making and eating one of you many amazing desserts! Hey, Jenny! I'm so glad you liked it. Hope you're having a fabulous weekend! Great list! Don't Stop Believing is on my playlist too, I always get a little extra boost when I hear it! We have a link party on Tuesdays where we share healthy living tips and tricks, and this post would be a great addition! We would be thrilled if you would co e link up with us, and feel free to link up anything old or new that fits the bill! Thanks and have a great week! Thanks for linking up! 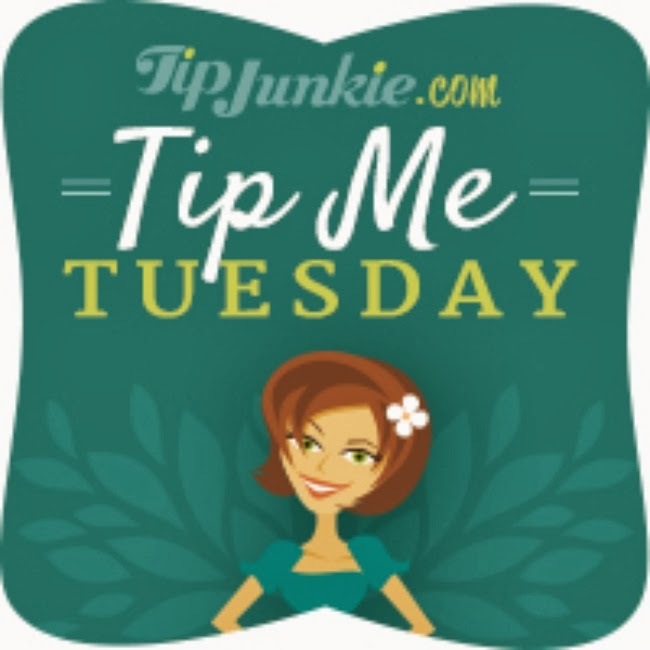 I've added this post to our Tips as Tricks Tuesday Pinterest board! We hope you'll come link up with us again! The party is live now! I haven't made my list yet, but It's My Life has always been one I thought needed to go there. Great list.